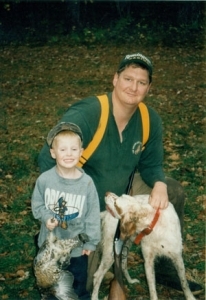 It was the spring of 1987 and Randy Havel and his business partner were looking for a place a few hours north of Monticello to take their boys deer hunting every fall. 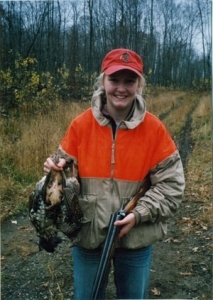 They settled on a piece of land between Remer and Longville that local real estate agent said was perfect and more importantly, very reasonable because it wasn’t on a lake; just pure hunting land. They made an offer on what the locals called the “Tobision Farm” and a family hunting camp was created. In 1988, a small log cabin was constructed with no plumbing as well as an outhouse, built by grandpa Gus, that could survive a category 5 hurricane. Propane lamps and a hardy supply of split wood gave the camp its heat and light for the first 12 years in existence. Along with what the newest generation of Havel’s call, “the wings”, additions to the cabin that now serve as a bedroom and TV room (yes, electric was brought in for collage football games and October baseball). 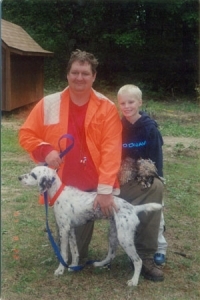 As families grow and things change, Jerry and Brenda moved back to Minnesota and wanted to settle in Grand Rapids, close to the cabin. They actually lived at the cabin the winter of 2001 with the three kids, 12 dogs (hunting and sled dogs) a hearty supply of wood and their trusty wood stove. 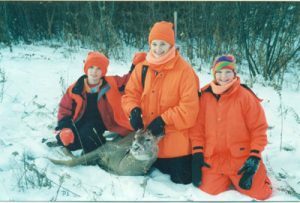 After a year at the cabin they found a house in Grand Rapids, but the cabin has been forever cemented in the family’s passion, respect and great love for the outdoors, specifically hunting. 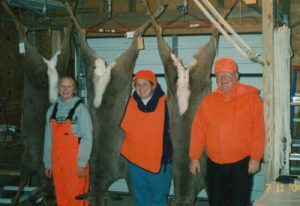 All three of Jerry’s and Brenda’s kids have bagged their first deer at the condo stand, not with dad, but mom Brenda! It was Jessica out-smarting grandpa in tracking the blood trail for her first buck. 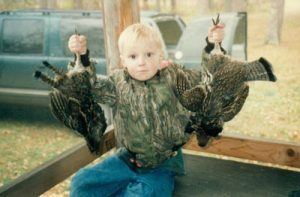 Parker shot his first deer right at dusk and had a sleepless night waiting for sunrise to continue tracking. 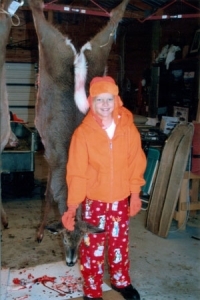 With the help of their neighbors, Craig and Kurt, the three of them found his deer and all was complete in this 12 year old’s world. 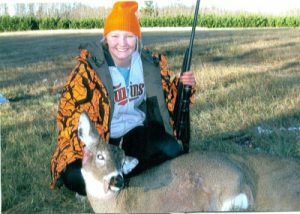 With Olivia, it was pretty easy; in the stand at 6:30 a.m. and a nice spike buck hanging in the garage by 7:30, a warm breakfast at 8:00. 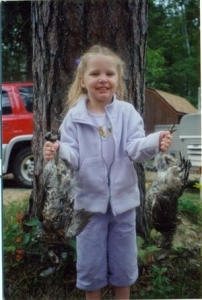 If you know Olivia, this is how she rolls. 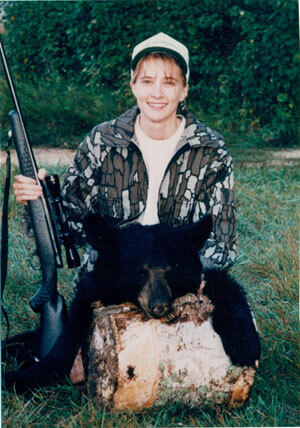 The place has also provided great memories of bear hunting. Being newly married and Jerry packing the car to go home, Brenda shot her first bear on a hot September evening that to this day is one of the best moments in the couple’s marriage. Then we have the bear master, Parker. 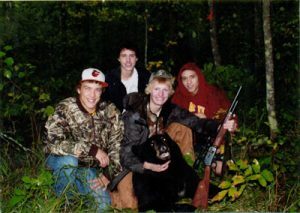 Parker has killed a few bear at the cabin but none better than with his three high school buddies waiting for the shot and the opportunity to help him drag it out. Isn’t that what hunting is all about? 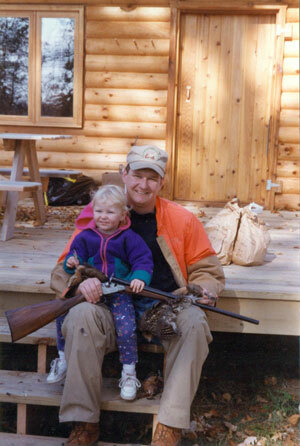 But the Havel family’s strongest cabin memories have been around grouse and woodcock hunting. 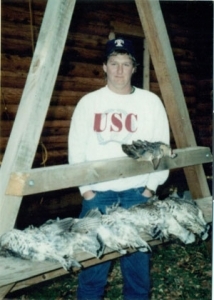 In 1988, Jerry, Randy and a few friends bagging over 90 grouse on the top end of the grouse cycle, from every puppy’s first point on a woodcock. 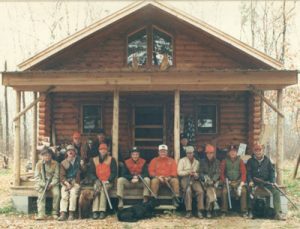 This love affair of the sporting life and upland hunting set the foundation to now what is known as Pineridge Grouse Camp. With a few extra cabins, a comfortable lodge and a warm kennel for the best of the pointing breeds, the Jerry and Brenda has established, not just another place to hunt or fish, but a place that is comfortable, low-key, casual, and a friendly grouse and woodcock hunting camp that is like no other. This is Pineridge Grouse Camp.